The Feel Free Nomad Sport is a very popular 3m Sit On Top for all round Sit On Top Kayaking. 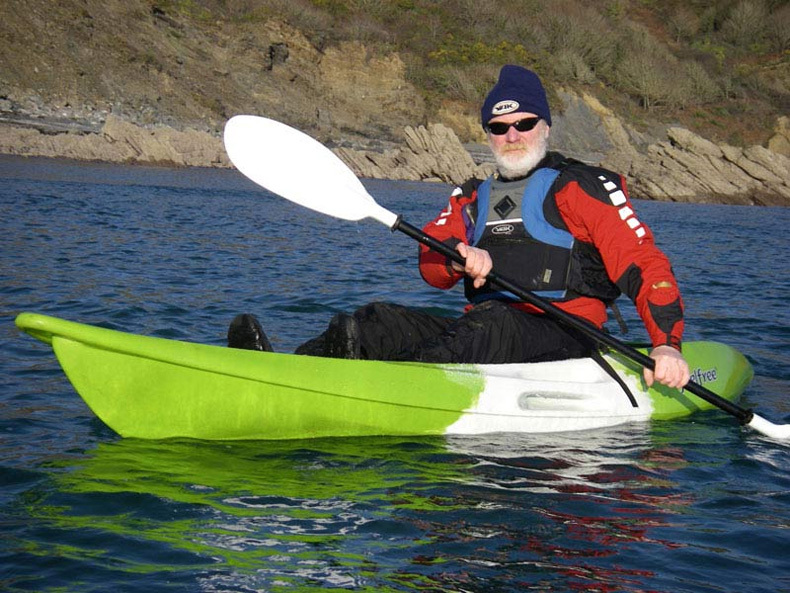 The Feelfree Nomad sport is a great all round sit on top kayak suitable for general touring on the sea, in harbours,estuaries and on rivers, and it is also great for surfing and kayak fishing. It has an excellent design with moulded carry handles on the sides, bow and stern and there is also a handy centre storage hatch and space for fitting fishing rod holders. The Nomad is very stable to use so you don't need to worry about falling in on flat water, it is also comfortable to paddle especially when you use a padded seat for extra back support. 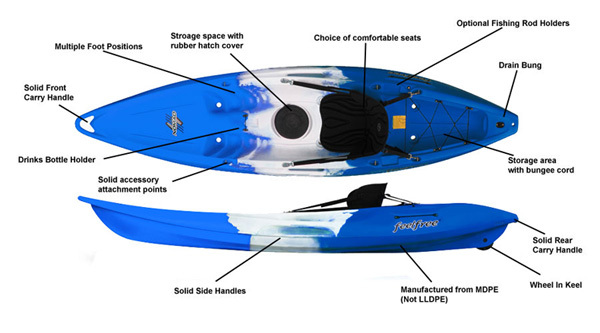 As with most Sit On Top kayaks the Nomad Sport has a self bailing seating area so that water splashing over will drain away. and have 2 flush mount rear rod holders fitted. The Feel Free Nomad sport is also available with a wheel built into the keel to help with moving the kayak around on hard surfaces. The wheel in the keel is designed for use on hard surfaces. It makes moving the Nomad Sport on slipways and from the garage to the driveway easier. The wheel isn’t designed for use on rough ground or sand, you will have to carry the kayak or use a trolley instead. In order to prolong the life of the wheel's axle you will need to occasionally wash off dirt and salt water. 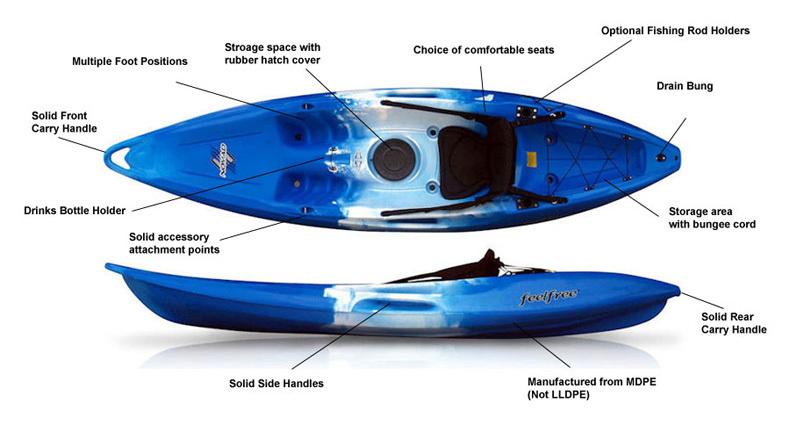 The Feelfree Nomad Sport can be fitted with optionl rod holders to make in to a Sit On Top fishing kayak. We often have limited edition colours in stock. Please call us for latest availability. We offer a delivery service for the Feelfree Nomad Sport throughout the UK & Ireland to home and work addresses. If you are local to our shop in Hamworthy, Poole then we may be able to deliver a Feelfree Nomad Sport with one of our own vehicles. For boats, this is free to most BH Postcodes - please call us on 01202 625256 to discuss your requirements. Buy a Feelfree Nomad Sport online from our website and collect from our shop in Hamworthy, Poole or you can collect from any branch within the Canoe Shops Group. There is no cost associated with instore collection.